CAMP-of-the-WOODS / Lift Discipleship / Questions? LIFT ("Leaders In Further Training") is a unique, semester-long discipleship program operated by CAMP-of-the-WOODS, a Christian family resort in New York's Adirondack Mountains. LIFT exists to train young leaders to become faithful ambassadors of Jesus Christ in accordance with their unique gifts and calling. LIFT equips students to think through critical issues of life and culture from a profoundly Christian perspective. Students also learn servant-leadership through weekly service projects. 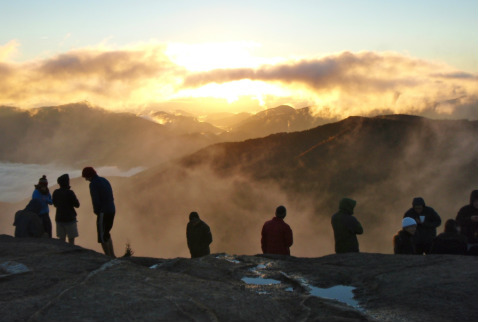 A variety of outdoor adventures in the beautiful Adirondack Mountains are an intentional aspect of our leadership and discipleship training. Each semester includes a life-changing 2-week mission trip, to the Dominican Republic in the fall and Ecuador in the spring. Each semester we bring in superb guest teachers who are experts in their fields to teach intensive one-week courses on various topics such as cultural apologetics, spiritual life, and ethics. WHY SHOULD I DO LIFT? Many Christians come away from (or enter) college with shaky foundations. Many confessing Christians are unable to articulate what they believe and why they believe it. Many who were raised in the church and who "know the right answers" are at a loss for how those answers apply to the way they live their lives. Many live according to a dualistic worldview that leads to compartmentalization. People experience a disconnect between their "spiritual" lives and practical daily activities. Countless students graduate from colleges and universities each year and have no idea how to use their degree. They feel a tension between "ministry" and "a real job." Know what they believe and why they believe it. Live meaningful lives rooted in an intelligible faith. Be a redemptive presence in their sphere of influence. Understand and interact with the culture around them. Think about all of life from a distinctly Christian perspective. Discover their calling so as to live purposeful and holistic lives. Love the Lord with all their heart, soul, mind, and strength and to love their neighbor as themselves. LIFT classes have about 30 students, ages 19-26. We are looking for students who are committed to Christ and who desire to live lives of significance for His Kingdom. Many of our students have recently graduated from or are taking a semester off from college. LIFT students come from many backgrounds, but share a common desire to live purposeful lives in response to God’s call. Given the intensity of our program and the amount of work that is involved in each semester, LIFT applicants should be hard-working, dedicated individuals who are ready to be challenged and stretched. WHO ARE THE LEADERS OF LIFT? Tim Trezise is the LIFT director. He is an accomplished outdoorsmen and uses his expertise to create challenging outdoor adventures for our LIFTers. LIFT students will test and surpass their perceived limits and gain confidence and character through these rigorous challenges. He is also an exceptional teacher in the classroom (M.S. from Utah State University). Tyler Nelson (Th.M. from Dallas Theological Seminary) joined LIFT in 2014. He is a passionate teacher with a mind for theologically integrative learning: he seeks to teach college age students about theology, our personal walks with the Lord Christ, the intellectual foundations of Christianity, and the tremendous beauty of nature as God's creative act. Kathy Trezise is a skilled educator (she has a Ph.D. in curriculum development) and will be teaching some classes as well as mentoring some of the female LIFT students. 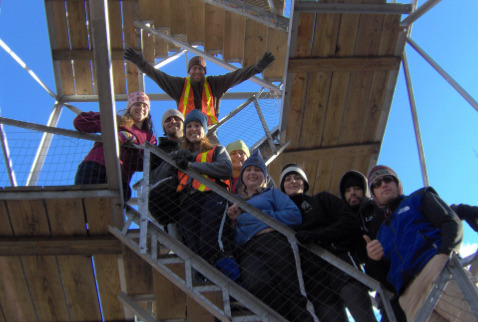 She has a love for outdoor adventures and will accompany the LIFT students on all of their outdoor challenges. HOW MUCH DOES LIFT COST? The cost of LIFT is almost entirely provided by CAMP-of-the-WOODS as part of its commitment to developing Christian leaders. This includes housing, food, books, curriculum, and hiking equipment. Students are responsible for providing for their own health insurance and raising a portion of the mission trip cost ($1000 in the fall and $1200 in the spring). The raising of this support is one of the activities included in the LIFT semester, so students need not try to do this on their own. WHAT DO LIFT STUDENTS DO? Classes: LIFT classes are designed to help students learn to think “Christianly” about all of life. 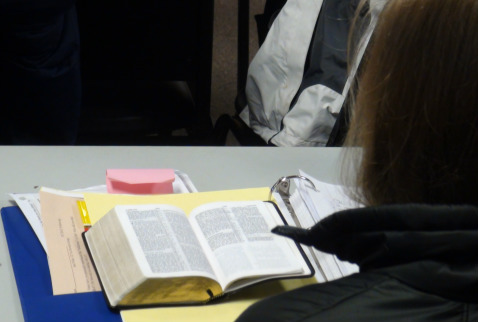 Classes in theology, church history, apologetics, missions, and ethics help students to discover their place in the Triune God’s redemptive mission for the world. Students are typically assigned reading material prior to each class to facilitate better understanding and discussion.Students do light research, write essays and complete other assignments in order to not only digest but also seek to apply what they are learning. Outreach: LIFT students are involved in a wide range of outreach activities including building projects, outreaches with kids, and helping needy people in the community. Through these varied activities students gain deep, practical insight into what it means to demonstrate the love of Christ. Service: LIFT students serve CAMP-of-the-WOODS conference guests through housekeeping, food service, and maintenance. These weekends of sometimes “thankless” work help LIFT students gain first-hand experience in being servant-leaders. Cultural Engagement: We believe that an important element of discipleship is learning how to interact redemptively with the ideas of culture. Rather than sequestering ourselves into safe and secure Christian environments, LIFT students are taught to engage the culture from a Christian worldview. LIFT students read books and listen to music in an effort to understand and discuss important cultural realities. Study and Reflection: Personal solitude, study, reading and reflection are essential components of LIFT. Students often take advantage of the beautiful Adirondack surroundings as they seek greater understanding through time alone. 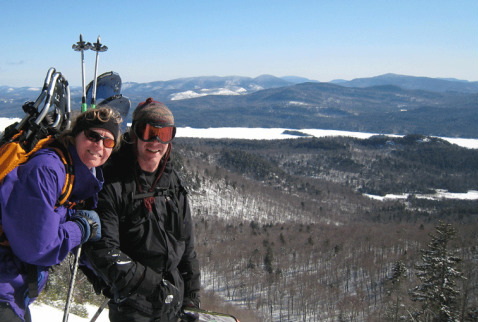 Outdoor Adventures: Hiking, backpacking, climbing, canoeng, snowshoeing, and white water rafting in the beautiful Adirondack Mountains are a wonderful part of LIFT. Hikes vary from 5-15 miles long to high mountain summits. Each semester includes at least one longer backpacking trip (up to four days in length). The wilderness provides an excellent classroom for leadership and discipleship. Students learn trust, team-work, communication, perseverance, patience and other traits as they face the challenge and beauty of the wilderness. Community: We believe that spiritual growth happens best with other people. LIFT is intentional in this way in order to foster authentic relationships and life-long friendships. Some of the best moments in LIFT occur outside of “class time” in the informal gatherings that spring up. Deep conversations, great laughter, loving confrontation, and rowdy celebration are vital to LIFT. Sabbath Rest: LIFT students usually have one day off every week. Students often take the hour drive to the nearest "cities" for food and shopping, or enjoy their surroundings by canoeing, kayaking, swimming, running, mountain biking, and hiking (or skiing / snowshoeing in the winter). These times contribute greatly to the development of community. 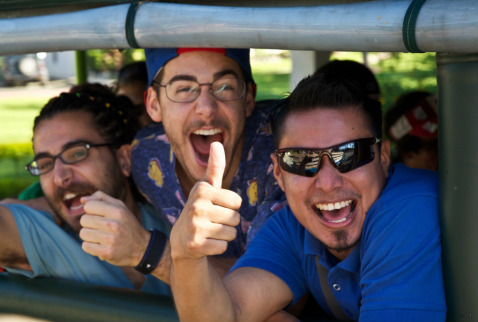 Mission Trips: We are thrilled to be able to take students on a 2-week mission trip each semester. 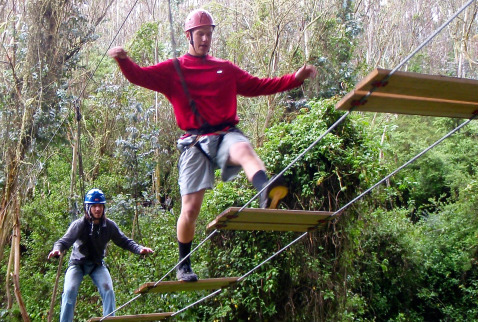 These extraordinary trips expand our horizons and ignite our passions for Christ. The fall semester trip is to Guatemala. The spring semester trip partners with Youth World from International Teams in Ecuador, under the direction of missionary Rick Borman. Students work with indigenous churches in two different villages in the Andes mountains, visit inner-city ministries in Quito, and team with other young leaders at El Refugio. They finish their time in Ecuador mountaineering a peak over 16,000'.